The right brushes can make a big difference in applying make-up. Use brushes that hold the make-up and feel nice on the face. 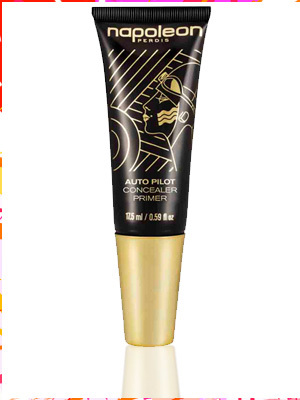 Napoleon Perdis Auto Pilot Concealer – Created especially for the eyes to hydrate and help the skin look fresher longer. When applying blush start on the apple of the cheeks while working the brush in an upward, downward, and backward motions. Note not forward in a forward motion because if you have fine facial hairs this will cause them to rise. Apply blush to the temple and chin also. Put a bit of blush to the hairline and cleavage area for an even look. How much blush should you use? It depends on your choice of look. You can always put on then take a bit off.